Fuel price: While Maharashtra effected the cut only on petrol, all other states did it on both diesel and petrol. Fuel Prices: Oil-marketing companies have absorbed cut of Re 1 per litre on petrol and diesel. A day after central and 12 state governments announced a reduction in fuel rates, prices reduced across the metros and state capitals on Friday. Petrol was priced at Rs 81.50 per litre in Delhi, Rs 83.35 per litre in Kolkata, Rs 86.97 per litre in Mumbai and Rs 84.70 per litre in Chennai, according to Indian Oil Corporation (IOC). Diesel was sold at Rs 72.95 per litre in Delhi, Rs 77.45 per litre in Mumbai, Rs 74.80 per litre in Kolkata and Rs 77.11 per litre in Chennai. On Thursday, 12 states slashed the prices of petrol and diesel after the central government announced a Rs 1.5 per litre cut in excise duty and made state-run oil companies absorb a Re 1 per litre cut in fuel prices. 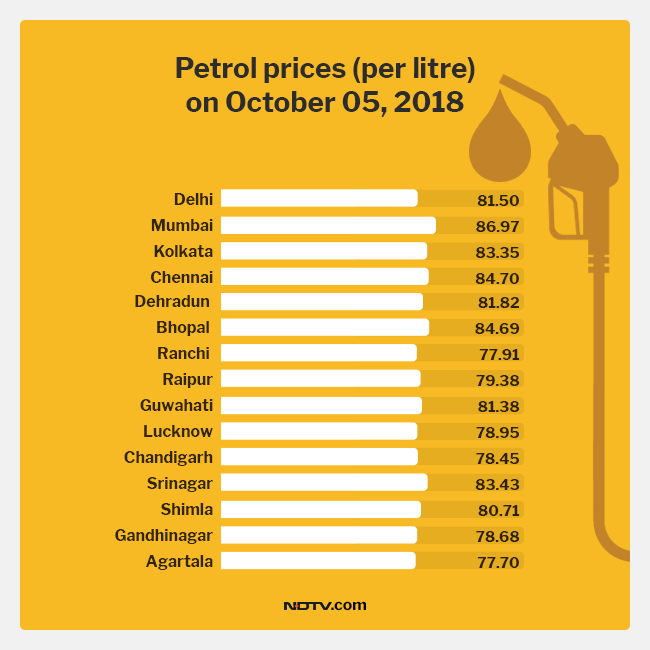 The 12 states which announced cuts in petrol and diesel prices are Uttarakhand, Maharashtra, Madhya Pradesh, Jharkhand, Chhattisgarh, Assam, Uttar Pradesh, Haryana, Jammu and Kashmir, Himachal Pradesh, Tripura, and Gujarat. While Maharashtra effected the cut only on petrol, all other states did it on both fuels. Jharkhand, which had earlier announced a cut only on diesel, later applied to petrol as well, reported IANS. After the state announced the cuts, a litre of petrol was sold for Rs 81.82 in Dehradun, Rs 84.69 in Bhopal, Rs 77.91 in Ranchi, Rs 79.38 in Raipur, Rs 81.38 in Guwahati, Rs 78.95 in Lucknow, Rs 78.45 in Chandigarh, Rs 83.43 in Srinagar, Rs 80.71 in Shimla, Rs 78.68 in Gandhinagar, and Rs 77.70 in Agartala. 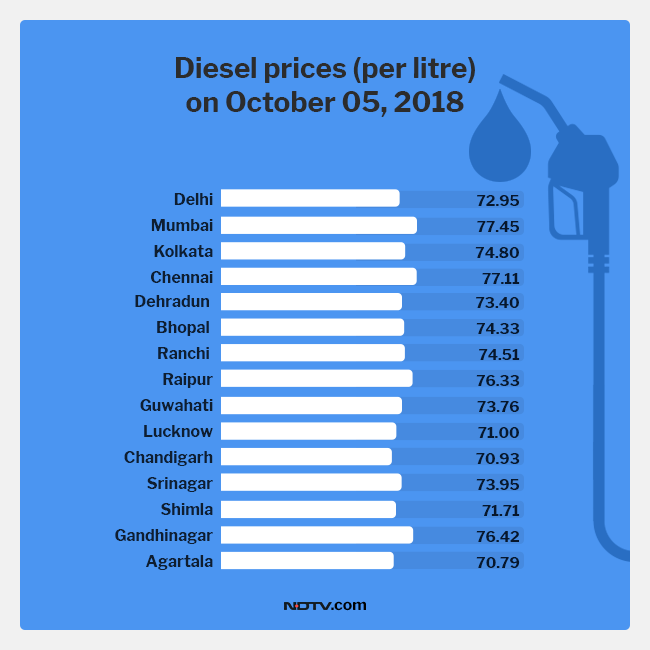 A litre of diesel was sold at Rs 73.40 in Dehradun, Rs 74.33 in Bhopal, Rs 74.51 in Ranchi, Rs 76.33 in Raipur, Rs 73.76 in Guwahati, Rs 71 in Lucknow, Rs 70.93 in Chandigarh, Rs 73.95 in Srinagar, Rs 71.71 in Shimla, Rs 76.42 in Gandhinagar, and Rs 70.79 in Agartala. 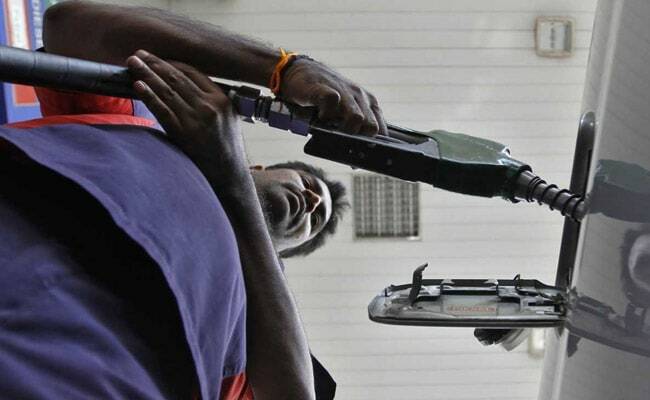 On Friday, Chandigarh announced Rs 1.50 per litre cut in petrol and diesel prices. Bihar government also lowered the value added tax (VAT) on Friday, making petrol and diesel cheaper by Rs 2.52 and Rs 2.55 a litre, respectively.